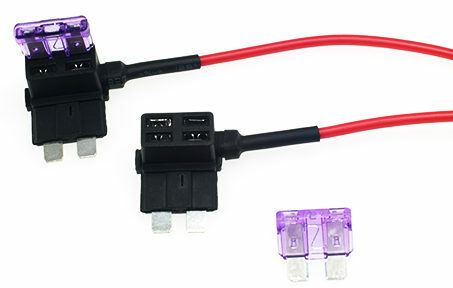 These ‘Fuse Taps’ allow you to tap into your vehicle’s fuse box and ‘hardwire’ the Power Magic Pro and camera yourself, without the need for an ‘installer’ (take a look at the Hardwiring your Blackvue tutorial). There are three different ‘fuse taps’ available. Blackvue NZ stocks them all, so just send us a photo of your car’s fuse, and we will supply the correct fuse tap for you vehicle. By doing it yourself, you will save yourself the further expense of an installer. All ‘Fuse Taps’ are $15.00.